Do not combine books called The Enchanted Wanderer without careful checking. Virtually every Leskov collection used to be lumped together; I have done my best to separate them. Note that there are four separate collections called The Enchanted Wanderer, the 1958 Hanna translation, the 1961 Magarshack one (subtitled Selected Tales, and not to be confused with his earlier 1946 translation of a separate group of stories, called The Enchanted Pilgrim: And Other Stories), and the Pevear-Volokhonsky and Dreiblatt ones (both 2013), all of which are very different and should not be combined. Furthermore, there is the 1924 A.G. Paschkoff translation of the story by itself, published as a separate book. 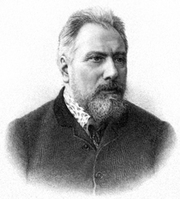 Nikolai Leskov is currently considered a "single author." If one or more works are by a distinct, homonymous authors, go ahead and split the author. Nikolai Leskov is composed of 82 names. You can examine and separate out names.